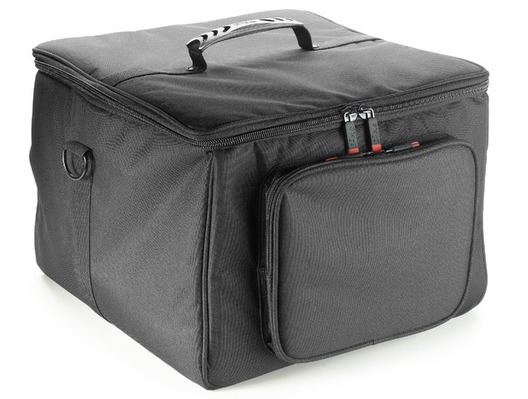 The SLI-TB-4 from Stagg is a reinforced transport bag for 4 LED lights. 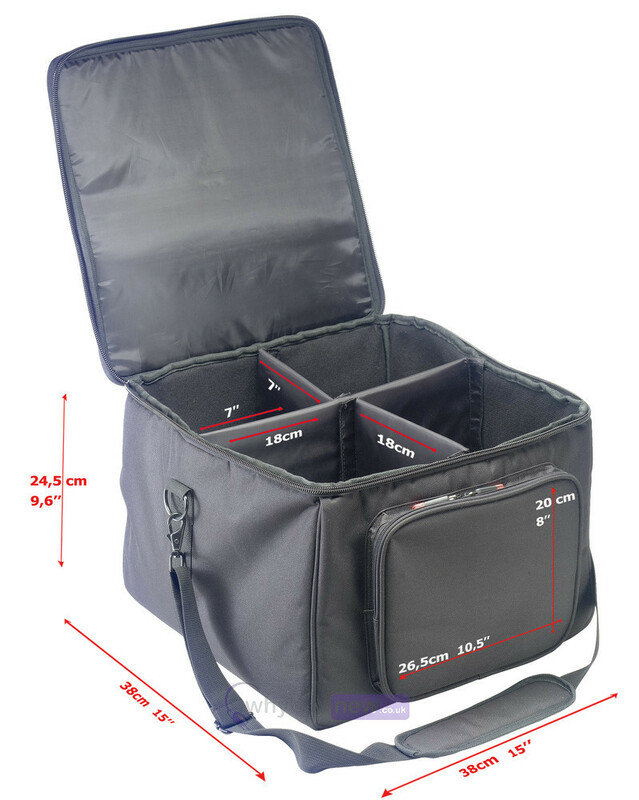 This reinforced, double stitched transport bag has 20mm foam padding, reinforced comfort handle, front pouch for cables and accessories, and a shoulder strap included. 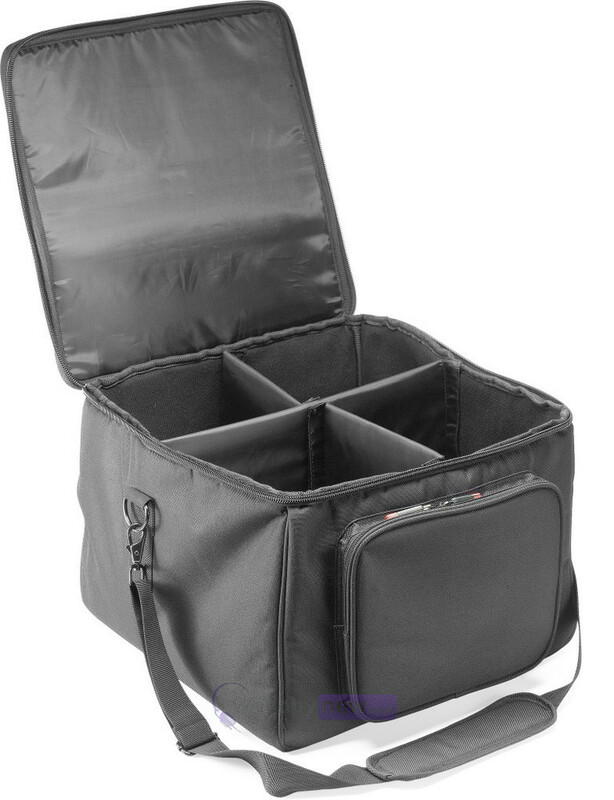 It features a reinforced bottom plate and a reinforced and padded divider inside the bag which supports the weight of stacked bags. 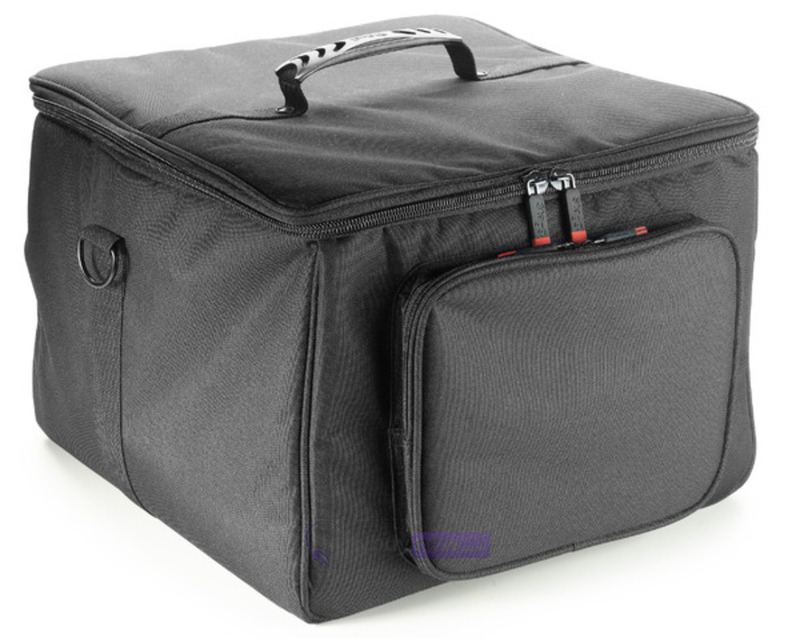 Suitable for: Headbanger 10, ECOPAR 1, ECOPAR 2, etc.